Hey guys, I know I've been a little absent from here this week, but that's only because I've been having so much fun collaborating with other bloggers. 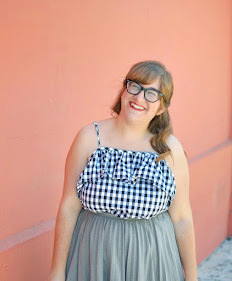 Today you can find me on Flock Together where I style Ashley of Southern (California) Belle's adorable dress. I'm absolutely in love with this dress, head on over to check out the full post! you look adorable- and i love that necklace!! You look adorable in this dress...love the red tights. New follower here, hope you'll stop by my blog soon. 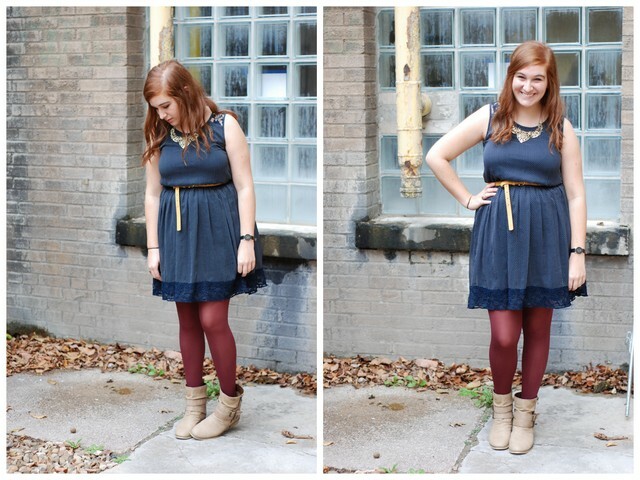 love love love the frock and the maroon tights combo! great look! I loved this! Also, have been meaning to tell you that at least every other time I try to type in your blog URL I accidentally go to room334 which is apparently some real estate lady or something haha! Anyway, Happy Friday girly! I've been super absent on leaving comments (please don't get mad at me! haha) but I've been browsing blogs every now and then when I get some free time and I saw both on yours and Jessica's blog the announcement for Flock Together so of course I went immeaditly to check it out! You girls are doing an amazing work out there, I'm loving it! :) I truly love this outfit of yours, the contrast between the blue and the bordeaux is fabulous, you look amazing, Elana!